Description: Aerial view: Panama City skyscrapers skyline. Skycrapers Tall Buildings Financial District in Seafront. Panama papers captiol, elite, wealth, money loundring, financials and leagl records. offshore companies . 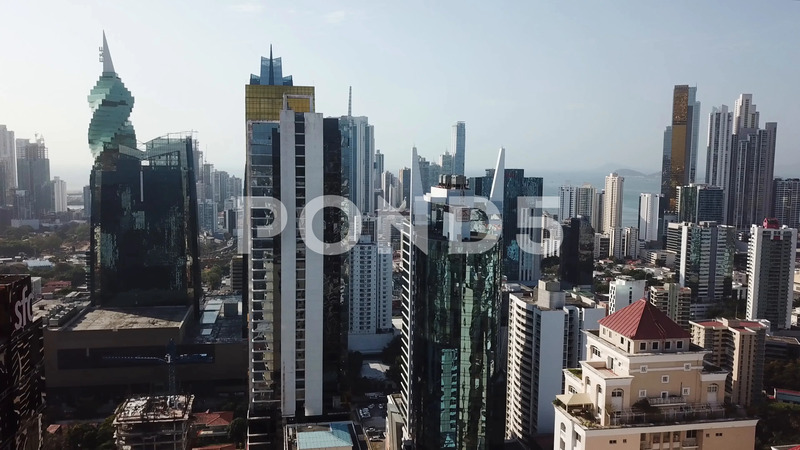 city of panama drone shot from night ot day aerial panoramic view.